J.K. Rowling is the author of the much-loved series of seven Harry Potter novels, originally published between 1997 and 2007. Along with the three companion books written for charity, the series has sold over 500 million copies, been translated into over 80 languages, and made into eight blockbuster films. Originally written by J.K. Rowling in aid of Comic Relief as a Hogwarts textbook, Fantastic Beasts and Where to Find Them became the inspiration behind a new and original five-film series for Warner Bros., the first of which was released in 2016. 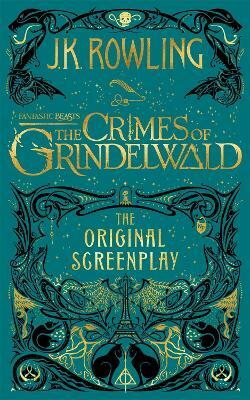 The second film in the series, Fantastic Beasts: The Crimes of Grindelwald, was released in November 2018. J.K. Rowling has collaborated with playwright Jack Thorne and director John Tiffany on a stage play, Harry Potter and the Cursed Child, which opened in London's West End in 2016 and on Broadway in 2018, and will have further worldwide openings in 2019. J.K. Rowling also writes the Cormoran Strike crime novels, under the pseudonym Robert Galbraith. The fourth in this series was published in autumn 2018. The Strike books have been adapted for television for BBC and HBO television by Bronte Film & Television. J.K. Rowling is also the author of The Casual Vacancy, a standalone novel for adults, published in 2012.